We are past Halloween and the Christmas Crafting Frenzy has begun. I love to make my gifts. It feels extra special as when I make them I am thinking of that friend or family member, trying to make the gift perfect for them. So with that in mind, I have created a roundup of readers favorite patterns. These are each one weekend projects. There are just 6 weekends left until Christmas, so there you go- 6 projects. 6 people to check off of your list. Now wasn’t that simple?! 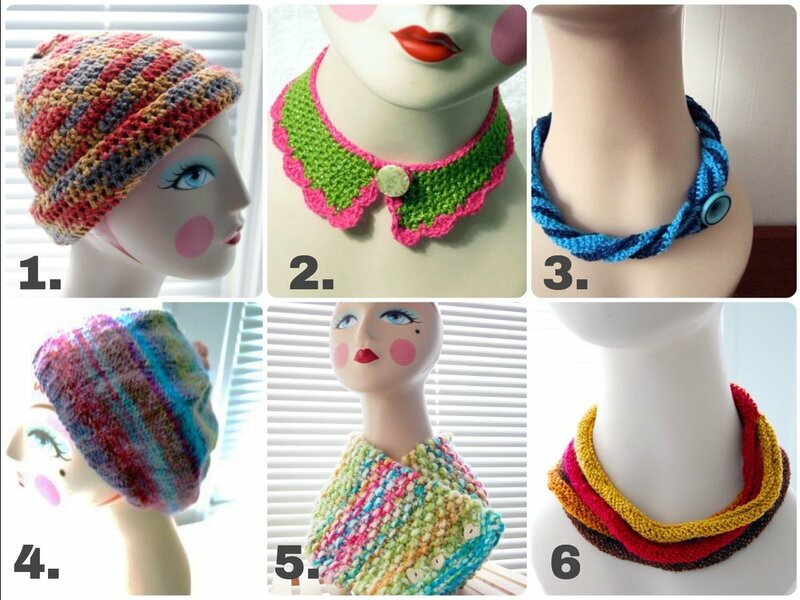 Crochet Collar for children and teens. I will be bringing you new patterns over the week, so stay tuned. These were created last year and have already been given as gifts, so I am on my way to making new ones. I am hoping for one new pattern per week until Christmas. May the making frenzy commence! Wall Street's Bull is iconic in the yarn world. Springtime is the land awakening. The March winds are the morning yawn. Last summer during a blistering heat wave, I made a garment inspired by Hans Christian Anderson's story "The Snow Queen." The top is knit from Lion Brand's Vanna's Glamour®. It's a lovely yarn to work with and adds this gorgeous shimmer that shifts with the light - perfect for my Snow Queen Dress. Having recently invested in a large die cutter, I decided to put it to the test. I cut a 100+ cardboard snowflakes which I then embellished. Naturally, no two snowflakes are the same. I painted, rubber stamped and colored with pencil and pen. I glued on sequins, wrapped threads and added small sparkling stickers. The skirt (originally the underskirt to a bridal dress) became an experiment in how far I could push a mixed media approach. I finally got around to getting the work professionally photographed. Larry Sanders is a genius at photography. He knows exactly how to light my work to capture it at the best possible vantage. It was a big photo shoot lasting nearly 8 hours as I had so much work to be photographed. I love being able to step back and take a more neutral look at what I've created. These same snowflakes would make a great garland for the mantel or as ornaments to decorate a Christmas tree.